Since 1996, Atlantic Construction + Roofing has been providing professional home improvement and construction services in Martin, Palm Beach, St. Lucie County, and Indian River Counties. As a State Certified Building and Roofing Contracting Company, we staff trained professionals specializing in a range of services, including, but not limited to; window replacement, siding, painting, roofing and waterproofing, storm protection, kitchen and bathroom design, and gutters/draining solutions. Dealing with Atlantic Construction is easy and is made convenient by coming to you, in the comfort of your own home. Call today to schedule a free consultation with one of our trained specialist’s. Our knowledgeable experts will assist you with your project, helping you make an accurate and informed decision. We also offer a professional, well qualified crew, quality materials, limited manufacturers warranty, and a limited workmanship warranty in writing. Choosing a building/roofing company is a big decision, so choose a company you can trust for reliable products, service, installation, and peace of mind with one of your biggest investments — your home. We are commited to protecting your privacy. The information you enter on our site is held in confidence between you and us and is used to process your order and to communicate with you. We do not sell, trade, or rent your personal information to others. This privacy statement discloses how the information you provide is used and protected. 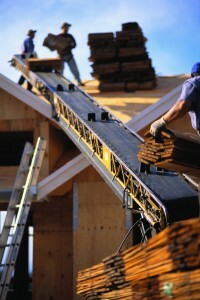 Providing professional roofing services in Martin, Palm Beach, St. Lucie County and Indian River County. Answer this anti-spam question, and press the Request Quote button below.